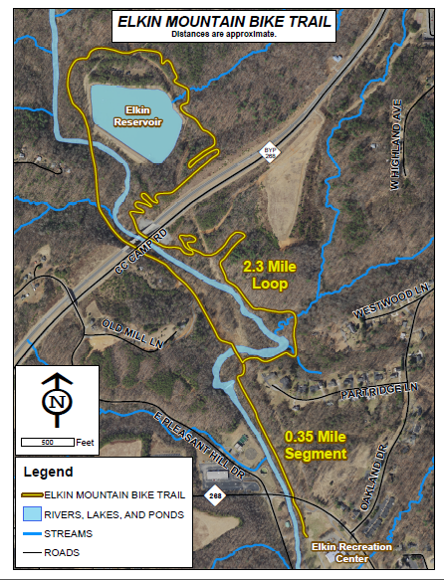 Elkin Creek Mountain Bike Course is now open! Access is from the E&A Rail Trail/MST (the main trail running north of Elkin Municipal Park). Please be courteous…all users yield to mountain bikers! Please follow usage instructions on the trail. We’ll announce a Grand Opening Celebration soon! Until then, here’s a sneak peek.